to scream Autumn to me. 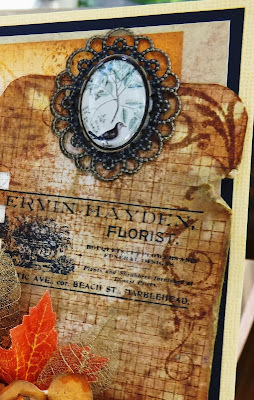 Working with Walnut Ink Crystals from Tsukinek, distress inks, Memento and Archival inks I came up with this rich little card. 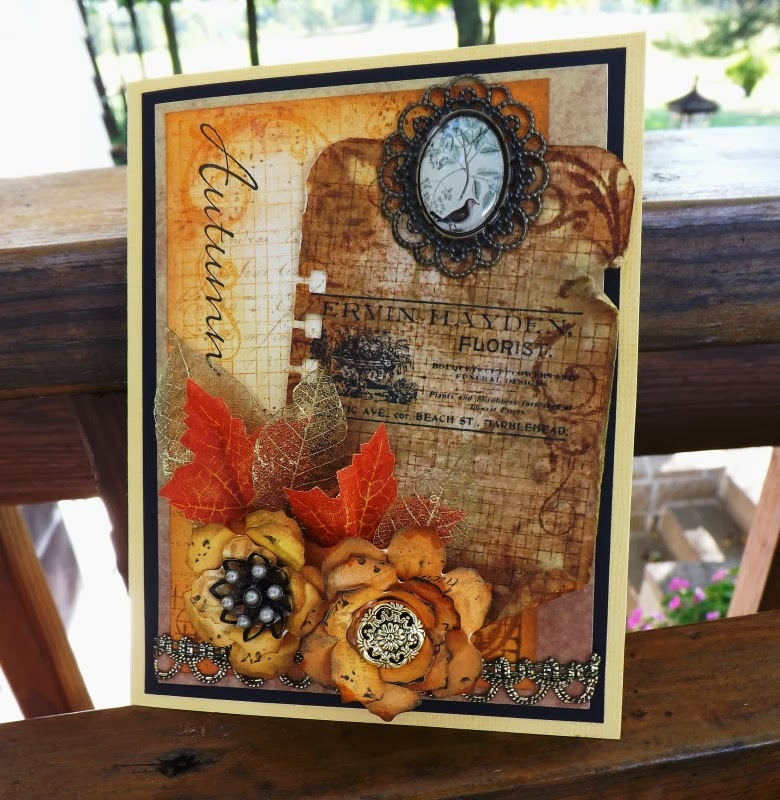 The Skeleton leaves along with Gold rich rack trim add that warm autumn feel to the card. Stamp credits are, Tim Holtz, Hero Arts, The Stamp Barn and CTMH. Tattered Pinecone die was used for the flowers. As Always, I thank you for taking time to visit with me today, your comments are always appreciated. Have a wonderful afternoon. Oh Vada! This is just gorgeous!! Love, Love, Love skeleton leaves. 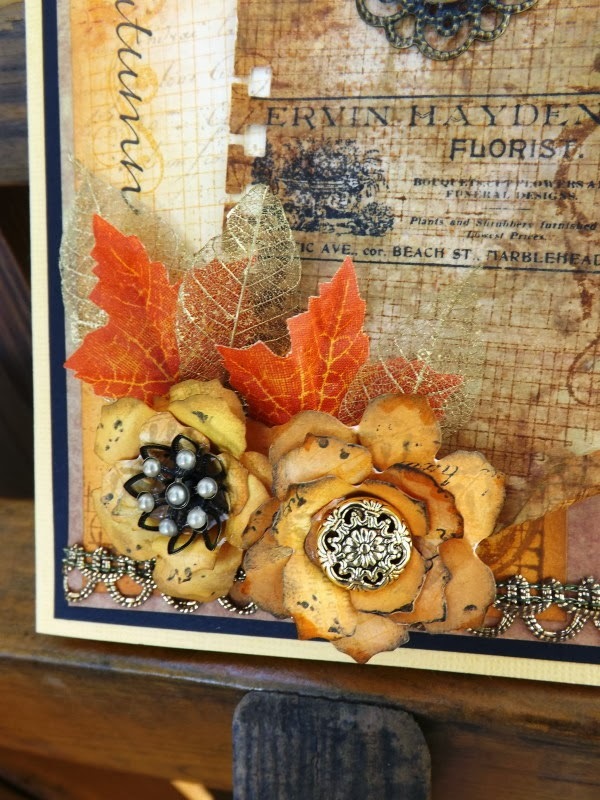 Fantastic Autumn card, terrific colors, great design! 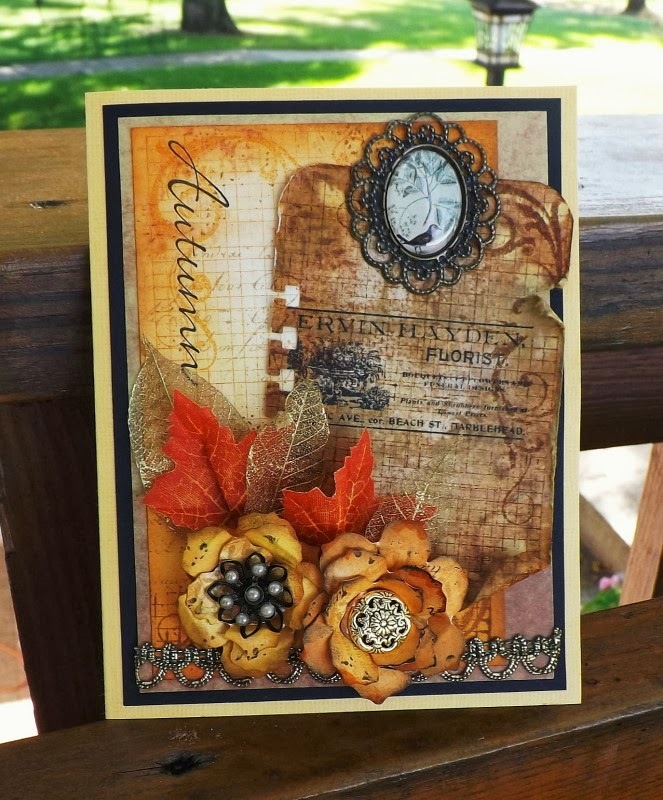 Your palette is rustic and earthy, and the skeleton leaves adds a fragility to the card, it is beautiful. Vada, this is so rich and beautiful and screams Autumn to me! 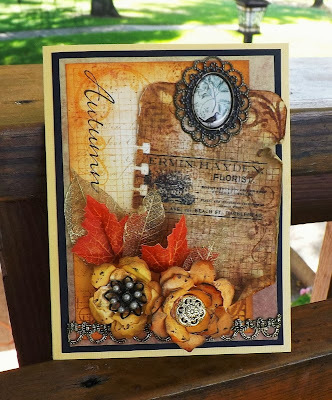 I love that background and have never used Walnut Ink Crystals, so I am thinking I need to! 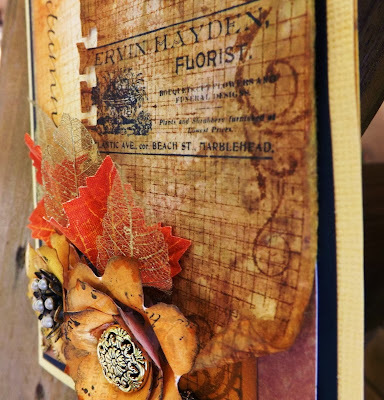 The floral embellishment is stunning and those leaves such the perfect touch! Love this! Hugs!